Bravo Concealment (BC) D.O.S. 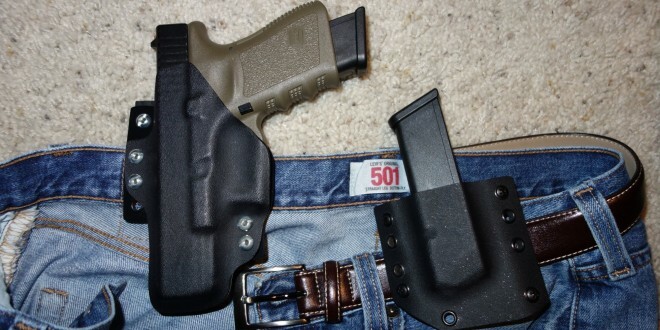 (Drop-Out of-Sight) Holster: Covert Tactical Kydex IWB Concealed Carry (CCW) Holster for Glock 19 Compact 9mm Pistol, and Pistol Mag Carrier/Pouch | DefenseReview.com (DR): An online tactical technology and military defense technology magazine with particular focus on the latest and greatest tactical firearms news (tactical gun news), tactical gear news and tactical shooting news. For the past six months, DefenseReview.com (DR) has been running the Bravo Concealment (BC) D.O.S. (Drop-Out of-Sight) Holster (right-handed model), an inside-the-waistband (IWB) tactical kydex pistol holster, for our Gen-3 Glock 19 (G19), and we're really impressed with it. The Bravo D.O.S. 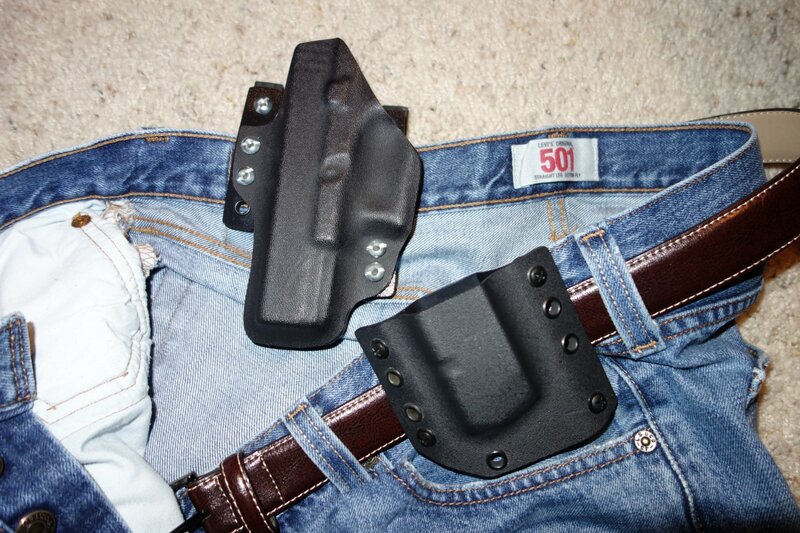 is not only comfortable to wear over long periods, but, just as the company's marketing literature states, minimizes your carry pistol's signature about as much as a tactical/concealed carry (CCW) kydex holster can, while simultaneously maximizing draw speeed for an inside-the-waistband holster by allowing the wearer to quickly and easily obtain a full grip on the weapon. Unless you need to bring the pistol's grip underneath the waistband for ultra-concealment/undercover work (and most undercover work doesn't require this extreme level of concealment), you'd be hard-pressed to find a more invisible tactical kydex pistol holster setup that still allows for a fast draw. Once you holster the pistol and it snaps into place, the holster provides excellent retention for an IWB concealment rig. The pistol snaps in with authority, and the retention tension can be quickly and easily adjusted with a phillips head screwdriver. It's also possible that tension ca be adjusted with a regular screwdriver using the rivets on the other side, but DR hasn't tried it, yet. But how durable is it? As it turns, out, very durable. In the six months DR's been using the BC D.O.S. Holster, it's shown no visible signs of wear. 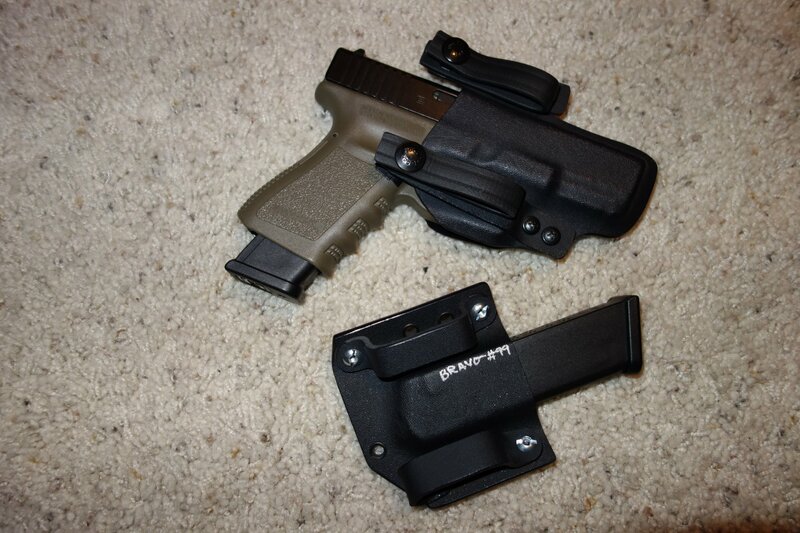 The holster is essentially comprised of kydex, large screws, large rivets, large snaps, and a couple of durable polymer "soft belt loops" (i.e., straps) or J hooks. We've been running the D.O.S. 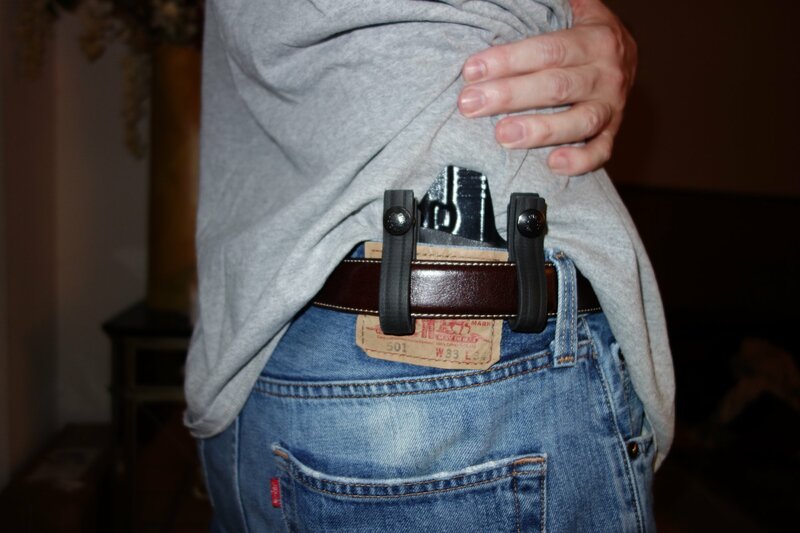 with the straps, which wrap around the underside of your belt and snap closed securely above it, making the straps and snaps the only part of the holster that goes outside the pants. However, the J hooks are even more lo-pro/lo-vis (low-profile/low-visibility) than the straps. There's very little that can go wrong. 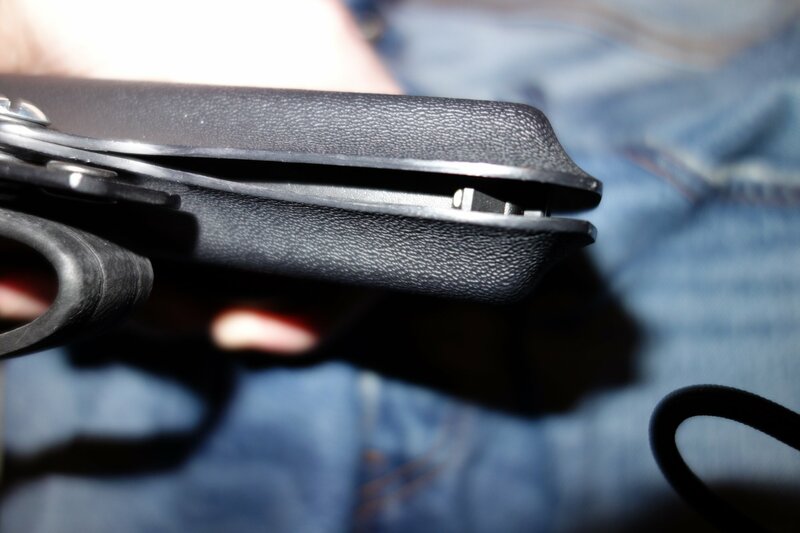 But, if something does go wrong, the holster would appear to be very easy to repair. The Bravo Concealment D.O.S. 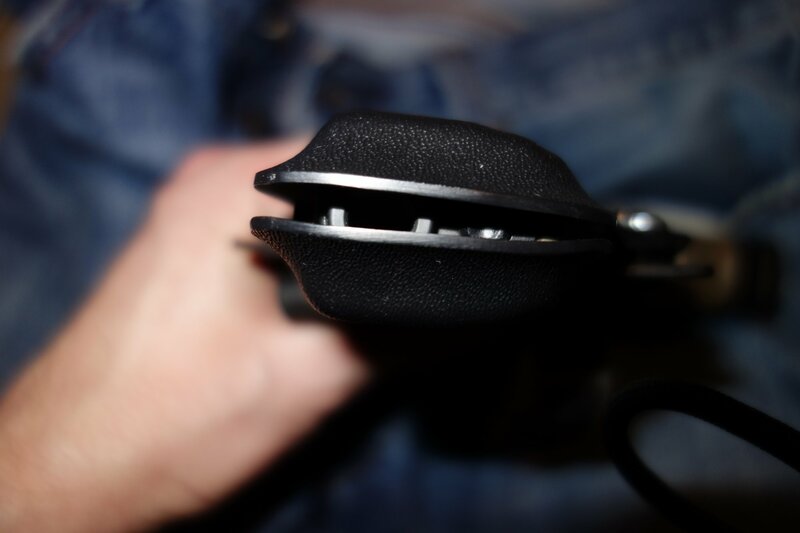 Holster is open at the bottom and on the sides, and even more so when the pistol is holstered, which allows for easy, quick drainage under adverse conditions. So, sand, dirt, water, etc. should be pretty easy to clear out of it, if it ever gets in there, which it shouldn't. That's one of the advantages of an IWB holster. Unless you go swimming or end up in a muddy swamp, you should be fine. Along with the D.O.S. 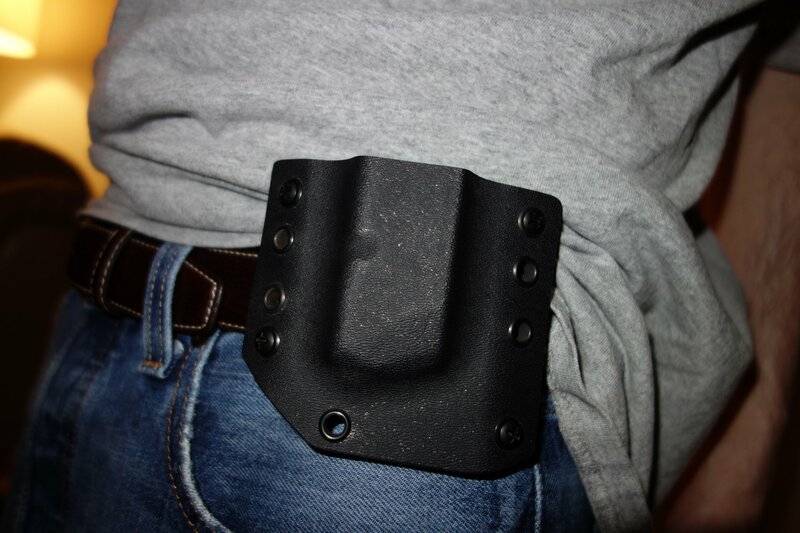 Holster, we've also been running an OWB/standard Bravo Concealment Handgun Magazine Pouch, a kydex mag carrier/pouch that runs outside the pants and over th belt. For an OWB mag pouch, it conceals well, is fast to use, displays the same quality of workmanship as the D.O.S., and we like it, but we'd be interested to see if Bravo Concealment can design and develop and comfortable fast-draw IWB kydex mag pouch/carrier. In order to accomplish this, the design should mimick the D.O.S. 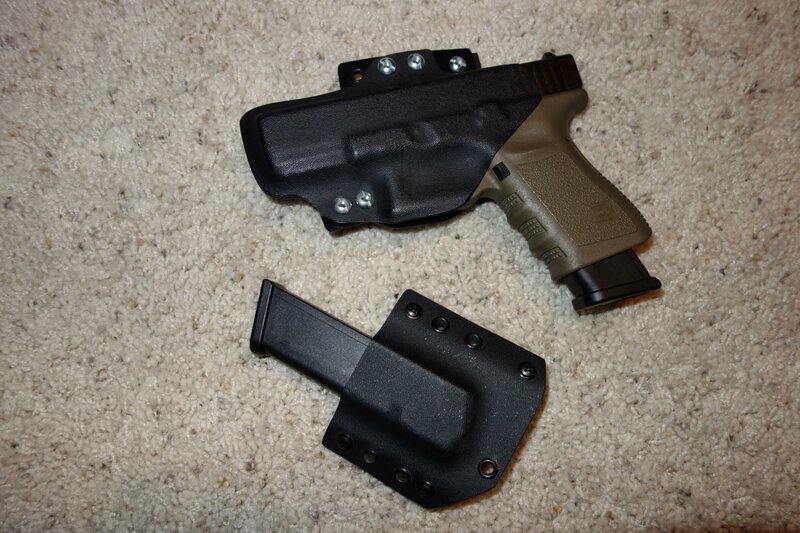 holster setup and provide a wide enough backing with rounded edges for the mag, so it doesn't dig into your side. Even if you run the wide backing all the way up, so the mag is backed the whole way up, you should still be able to grap the mag pretty quickly and easily. We'd like to test it, though, in both a single mag pouch version and double mag pouch version. In the meantime though, we'd like to try out the current BC Double Magazine Pouch. Since we don't have one, yet, we've had to run another company's double mag pouch on those occasions when we've wanted to carry two spare mags–although we've occasionally also carried a spare mag in our left front pocket when running the BCH single mag pouch. To date, Defense Review has used the BC D.O.S. 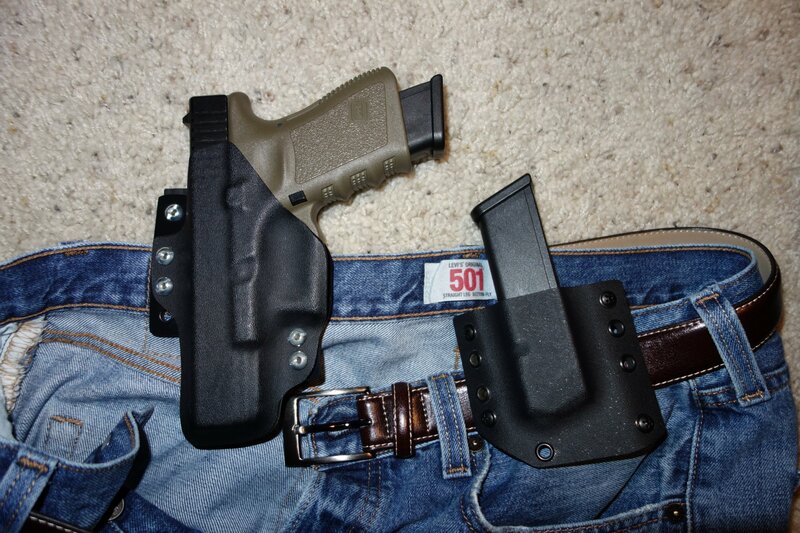 IWB holster to carry our Gen-3 Glock I9 while wearing several different types of pants, including Levi's Jeans (classic Levi's 501 and Levi's 505 jeans), 5.11 Tactical pants (tactical cargo pants), Polo Ralph Lauren cargo pants, and Japan Rags cargo pants, with no problems, so far. Any, if you're looking for an IWB kydex holster rig, we'd highly recommend you take a look at the Bravo Concealment D.O.S. Holster. You'd be very hard-pressed to find a better one. The BCH DOS holster is GTG (Good To Go). Editor's Note: Notice in the accompanying photos that the G19 pistol photographed has a Glock 17 magazine inserted. 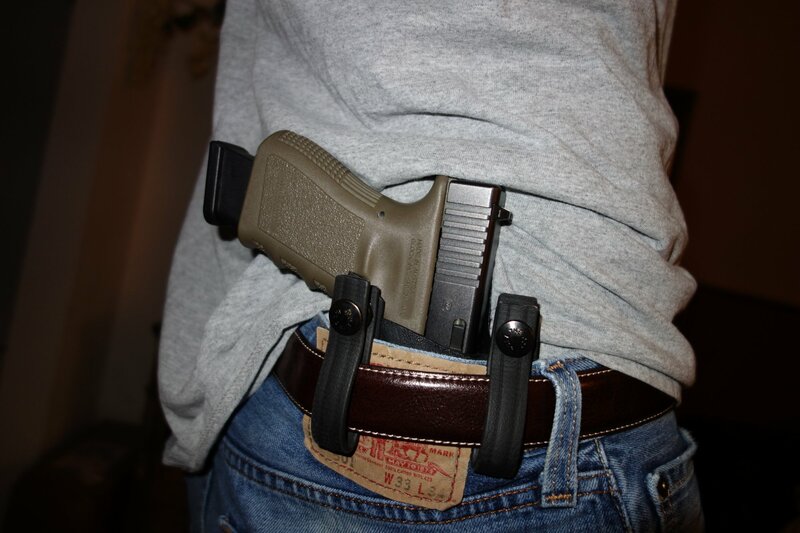 We often carry our G19 this way, and the BC DOS holster still allows the pistol to virtually completely disappear under a light shirt (t-shirt or, polo shirt or button-down shirt) worn loose outside the pants. DC Holsters Leather/Kydex Hybrid Ultra-Concealment Tactical Pistol Holsters for Concealed Carry (CCW) and Deep Cover Use: Best Ultra-Covert Inside-the-Waistband (IWB) Holsters Out There? Smith & Wesson (S&W) M&P Pro CORE (Competition Optics Ready Equipment) Combat/Tactical/Competition Pistols: Good to Go and Ready to Beat Glock Pistols? Caracal F and Caracal C Low-Bore-Axis, Striker-Fired Polymer-Frame 9mm Combat Pistols for Concealed Carry (CCW) and Covert Missions: Tactical Pistol Tack Drivers at the Range! Next: U.S. Air Force Seeking Laser Weapons for Fighter Aircraft: Air-to-Air Combat Laser Cannon Cometh?